I have had this book in my library for more than ten years. It was only now that I was able to actually read it. Author Patrick Lencioni knows how to capture his audience, especially if it were a top executive like himself. He is the Co-founder and CEO of The Table Group, a management consulting firm in the San Francisco Bay Area. 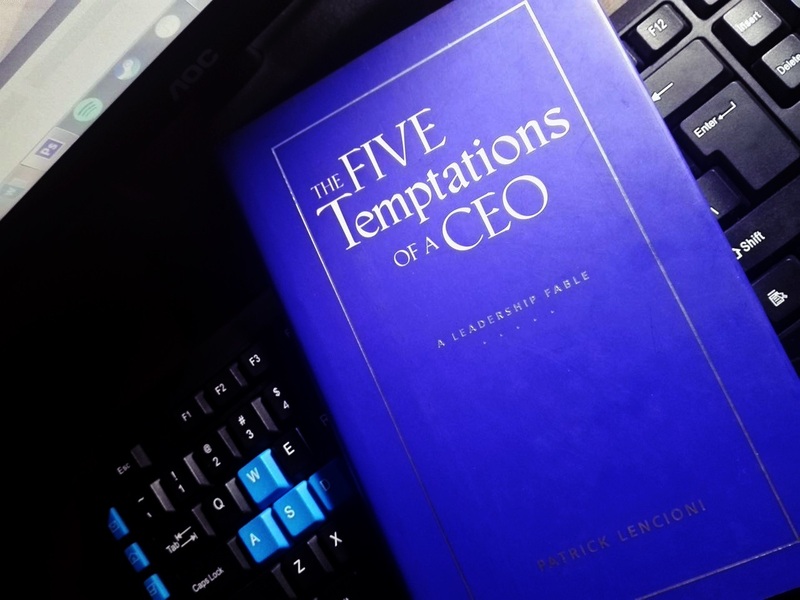 The Five Temptations of a CEO was an eye opener. As a chief executive of two startups, I have found the concepts he presented to be very real. Presented in a story format, Lencioni was able to capture the journey of a company chief executive beginning with his personal milestones when he rose up the ranks to that of facing the board of directors in his present post. The daily operational challenges a CEO faces is nothing compared to the fear of falling to any of the five temptations discussed in the book. Presented as a fable, Leoncioni’s book reflects his talent in creating screen plays. In fact, the format was spot-on in bringing to fore the feelings the central fictional character of CEO Andre O’Brien has. Any hard-working CEO knows what it took to get him or her to the top — results! The challenge is to maintain a keen eye on results rather than on a CEO’s status. This means that egos are set aside by top leaders for the sake of the company. 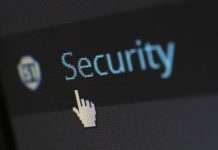 The book presents a potential threat a leader can succumb to when the likes of “Andy” (the CEO in the fable) would focus on the perks of the job — the title in particular — rather than on the reason he is there, which is to bring the company to profitability. At some point in his career, a company CEO is tempted to slacken his grip on more important goals than things that go with the status. The next temptation, accountability vs. popularity, seeks to drill down the need for focus of a company top honcho. Executive questions: What were the most important milestones in your career? Do they represent things that are good for the company or for yourself? This is Donald Trump’s most popular statement. It talks about accountability. In the book, Lencioni paints a picture on the character of Andy. He is nothing compared to the seemingly ruthless Donald Trump in “The Apprentice” TV show. There is another central character in the fable. It’s this janitor that Andy meets and talks with on a late train ride home. His insights about accountability are right on the money. The janitor’s story of his father, a former railroad company executive, on accountability, was a something worth learning. They learning is about not firing someone. How? Make your employees accountable with regular reminders on results they need to achieve. If they don’t meet it, they themselves will resign. If they don’t, then fire them. No hard feelings. The good of the company (and its other hardworking employees) goes above one’s feelings, right? Executive questions: Have you fired someone? What would you have done differently so as not to have come to that? Fact: You need to present clear goals and directions to hold people accountable. Everything in a company, starting with it mission and vision, has to be crystal clear to all employees and stakeholders. If there is even just one point, such as a core value that is not clear to one person in the organization, accountability cannot be implemented to all. In the book, Leoncioni created a picture of this occurrence in the CEO’s firing of the marketing head. There was a question of initiative in educating the guy about his accountabilities while Andy (the CEO) was seen as protecting his friendly reputation or not being popular. Executive questions: Have you presented clear goals to your employees? Do you have an issue about popularity in your organization? A happy environment is good at work. However, too much happiness in the culture might create too much harmony, too. This is what author Lencioni describes as the fourth temptation for CEOs. Not all great ideas are threshed out in an environment of complete harmony. This is because of the possible conflict that may arise, and thus, be contrary to “acceptance” that a “too happy” workplace has established. Personal emotions fly out in a conference room where ideas are put on the table. That should be ok. It’s not all about being liked or not, but it’s simply getting the best ideas that will push the company’s interests further. By having a too harmonious corporate atmosphere, you would have missed the opportunity to view and hear other people’s opinions that could have skyrocketed your company’s revenues. Executive questions: Are you Mr. Nice Guy who wants to be friends with everybody? How do you get all the best ideas out in your company? The fifth and final temptation discussed by Lencioni is trust vs. invulnerability. Any relationship needs nourishing. Trust is a big factor in nourishing relationships in and outside the corporate setup. One goes out of his/her comfort zone in order to trust people, and be trusted in return. Is trusting people in your organization a sign of weakness? He says that this is the greatest level of trust a chief executive can give his people. Indeed, this is one of the most difficult things to do as it involves a CEO’s temptation to achieve invulnerability. Lencioini says that in return, employees will give their respect and honesty to their peers. That is good for the company. Executive questions: How can you give more trust to your employees in making decisions? How much participation can you give your employees in decision-making as a team? Next steps include self-examination of your priorities in your organization, and looking into your managers’ capabilities, using the five temptations as your basis. Good luck!